Following its aim to make Lahore a smart city, furnished with modern technological infrastructure, Punjab govt has achieved another milestone. 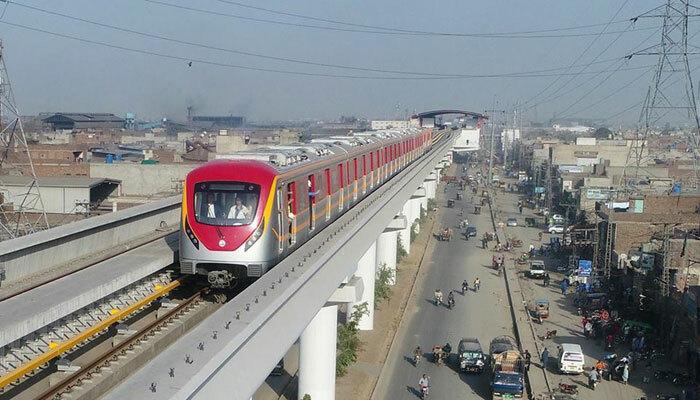 On Monday, Orange Line Metro train has successfully run its first trial in Lahore inside the Depot. The project of Orange Line Metro Train will, reportedly, accommodate up to 250,000 commuters every day, while the track covers a 12-kilometer long portion of the track from Dera Gujran to Lahore Chowk. According to the media reports, earlier in January, CM Punjab directed the authorities to work faster and complete the project as soon as possible. Orange line train project is a huge step from Punjab’s Government to make Lahore the “Smart city”, paving its ways technological advancements. According to higher authorities, after the completion of train project, everyone can easily compare Orange line train project with the finest trains of the world like Moscow’s “Kaluzhsko-Rizhskaya line”. The project Online Line Metro Train have been facing many problems from the start including the cases to ban the project and opposition’s objections. The successful trial seems to be the biggest achievement of Punjab govt until now.